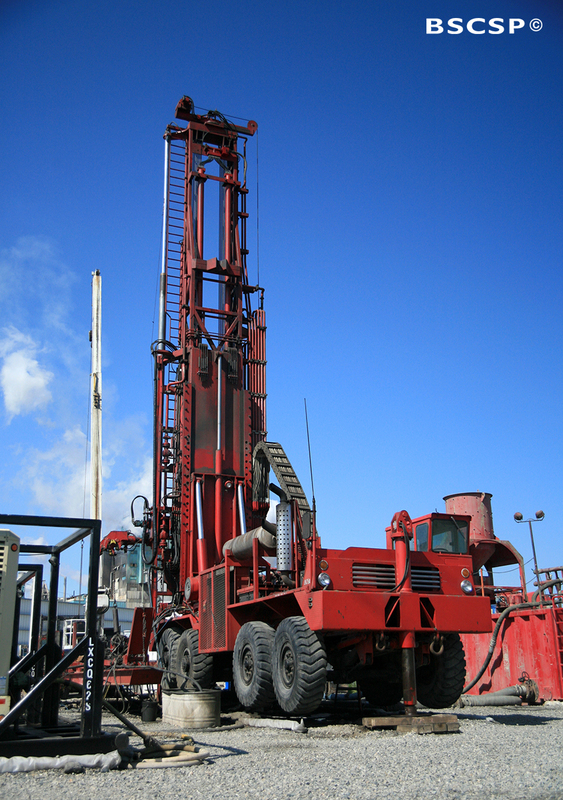 Following an extensive characterization process, the well for the small-scale Basalt study was drilled during the spring of 2009. Based on careful analysis and results from modeling efforts, a total well depth of 4,110 feet was determined to be the most optimal zone for injection. Three prominent geologic layers were penetrated during the drilling, including the Saddle Mountains Basalt, Wanapum Basalt, and Grande Ronde Basalt formations. An important part of drilling the well involved the collection of samples and rock cores to further evaluate the geologic and geochemical properties of the surrounding basalt setting. On July 17, 2013, researchers began the injection of nearly 1,000 tons of CO2 into the basalt formation. The injection took place over a month and provided scientists with the unique opportunity to study and assess the CO2 in real-time within a natural geologic setting. The CO2 was injected at a constant temperature, pressure, and rate. On August 11, 2013, CO2 injection was completed. In total, 977 tons of CO2 was successfully injected into the basalt reservoir. This amount was intentional in order to allow for adjustments in total mass calculations, and to ensure the 1,000 ton permit for CO2 injection was not inadvertently violated. 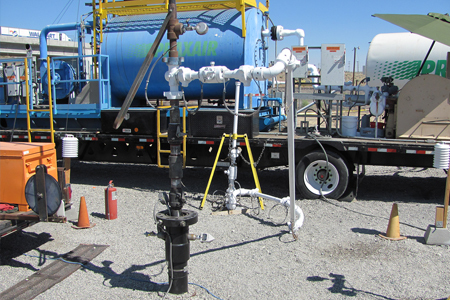 Scientists followed detailed procedures throughout the CO2 injection process to monitor the injected gas and other important changes in the subsurface environment. 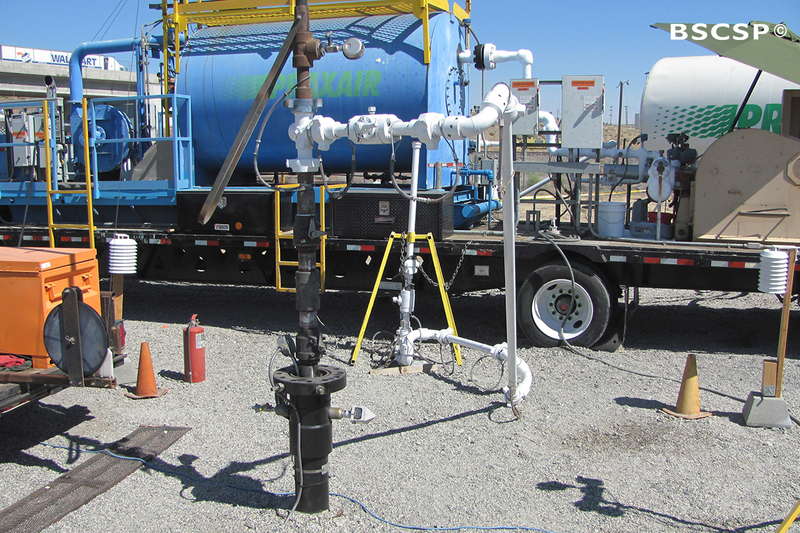 For example, downhole pressure and temperature gauges took continuous measurements from within the well. Significant fluctuations in pressure and temperature would indicate abnormal behavior and movement in the CO2. Scientists also extracted fluid samples, logging data, and core material from the well for geochemical analyses and physical rock properties. Lastly, in order to assist with the detection and monitoring of the underground CO2, tracers were injected along with the CO2. Tracers are easily distinguishable and help track the distribution and performance of the injected CO2. These monitoring activities, combined with using the most advanced downhole sensors and imagery techniques, allowed researchers to constantly observe and examine the CO2 within the basalt reservoir.